Attending a funeral service can be a nerve-racking experience. Many of us are already upset about losing a loved one, but then we are put in close proximity of so many others going through their own grief. There are so many things we want to do or say to make others feel better, but we do not know how. What if we say or do the wrong thing? The stress accompanied with a funeral can be unbearable. However, there are few things to know that can help you through this stressful time. Some of the tips below can help you through this stressful time and help you alleviate some of the anxiety involved with attending a funeral. What to say. A lot of us may find ourselves struggling to find the proper words to say during a funeral. It is difficult to determine the best way to offer your condolences. Remember there may be a lot of people and multiple things for the family to attend to at the funeral, so they may not be able to spend too much time with you. You may want to keep your condolences short and sweet. The usual “I am so sorry for your loss” is appropriate, and if the family has enough time, you may want to add in a few memories or stories of time shared with the deceased. What not to say. Unfortunately, you are attending a funeral to give the family a chance to say goodbye to their loved one and grieve their loss. This means that their emotions are fresh and raw. You should never go into a funeral and tell the family that their loved one is in a better place now or that they will feel better in a little while or with time. They do to want to hear this just yet and everyone’s journey with grief is different. You may have had a similar experience (or not), but you really may not know how they feel. It is best to leave these sentiments to yourself because they will not help them feel better. What to give the family. Most people will be fine just offering their condolences, but some people feel as if they want to do more. One of the more traditional things to send to a funeral is flowers. Many people opt to send flowers to offer their condolences, so it is widely accepted. However, some people will tell loved ones to forgo flowers and donate to the favorite causes of the deceased in their name, which is also appropriate. There are some who like to visit the family and bring them something to eat, help clean their homes or watch any young children. These offers may be eagerly accepted by some because during this stressful time, feeding people and dealing with everyday chores will typically be the last thing that loved ones want to think about. The acceptance will also be affected by how well you know the family and how they react to needing help. Should children come to the funeral? For many, the typical funeral is a solemn and quiet ceremony. This type of funeral is not the place for children to be playing, roughhousing or screaming. If you know your children are not able to behave in a certain manner, it is best to leave them at home. However, some children are able to behave appropriately during the funeral, and it is up to you to gauge if your children are ready to attend a funeral. If you believe they are, then they are welcome to go. Remember it is up to you to curb any bad behavior your child may show during the funeral if they do happen to act inappropriately. Do I need to follow up with the family after the funeral? Many people like to check in with the family after the funeral. It is normal to want to see how they are doing, if they need any help or if they need anything. It has been a difficult journey for them, and they may feel lonely and lost without their loved one. Hearing your voice, getting a card or simply stopping by to say hello could make their day just a little bit better when they need it. So, if you feel the need to follow up with the family after the funeral, please do so. It may mean more than you will ever know. Attending a funeral can be a difficult process for many of us. There may seem to be so many unspoken rules that we are unaware of. It can be extremely stressful trying to decipher what to do or what not to do. 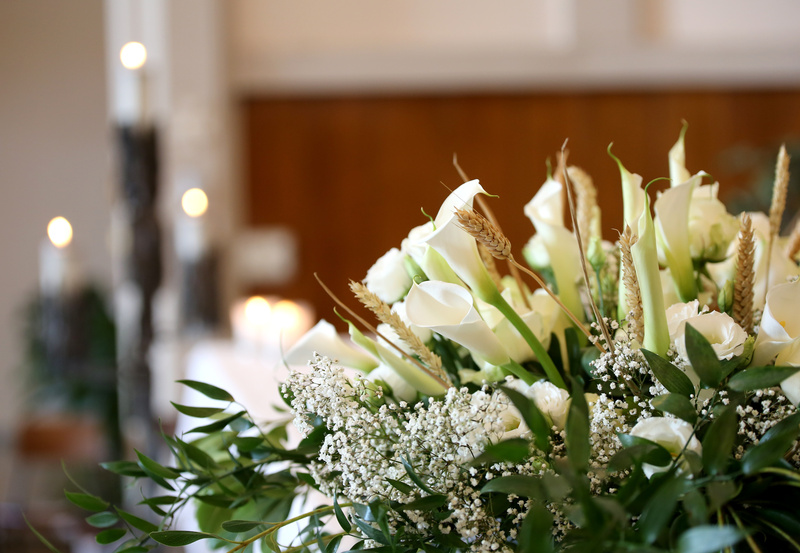 However, if you remember some of our tips, you will be better prepared for meeting with the family of the deceased, and hopefully, this preparation will help you feel a little be more relaxed about attending the funeral and proper speaking with the family.